Dpower is a little known company with a lot to prove. 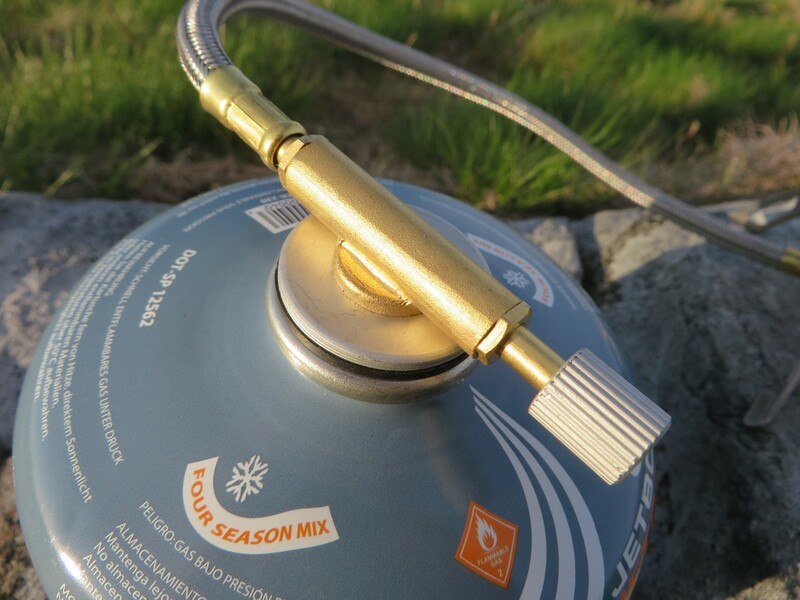 Their ambitious backpacking stove sets out to provide a remote canister stove at under 5 ounces for under 30 bucks. Stoves are expensive, so the idea of an affordable alternative is very tempting. 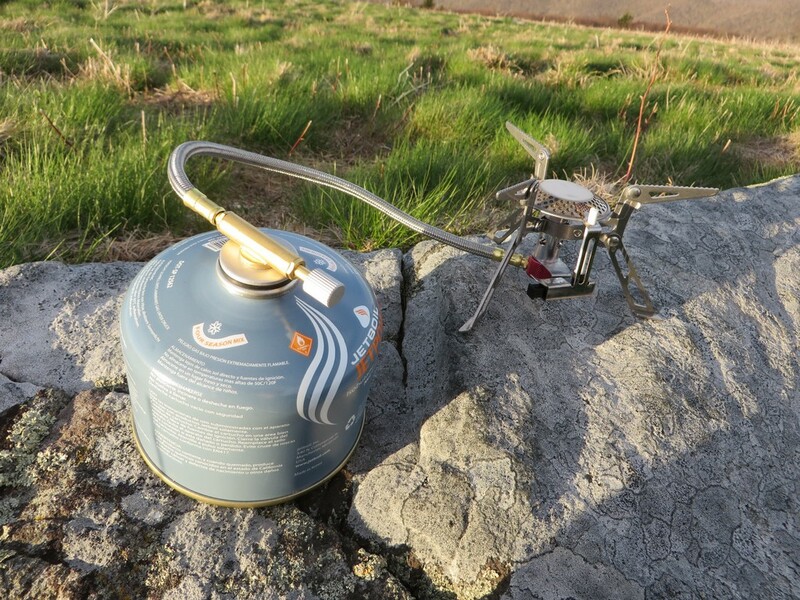 But, can a budget stove perform? Affordability is the name of the game, and it makes it work, for the most part. At around 24 bucks, it’s certainly an attractive price point for any backpacker. The stove packs away tiny, even fitting inside my tiny titanium cooking pot (Esbit Titanium). This is possible thanks to the folding, wrapping design of the stove. The legs fold under, while the cooking arms flip down, creating one of the smallest pack sizes of any remote canister stove I’ve tested. Stability is pretty good: with three wide enough arms to support a decent size pot, and three wide legs that easily support a liter of water. Pots stayed in place, without sliding around or feeling tipsy. Wind performance was hit or miss. While using a windscreen, I was able to cook in windy conditions with decent results. 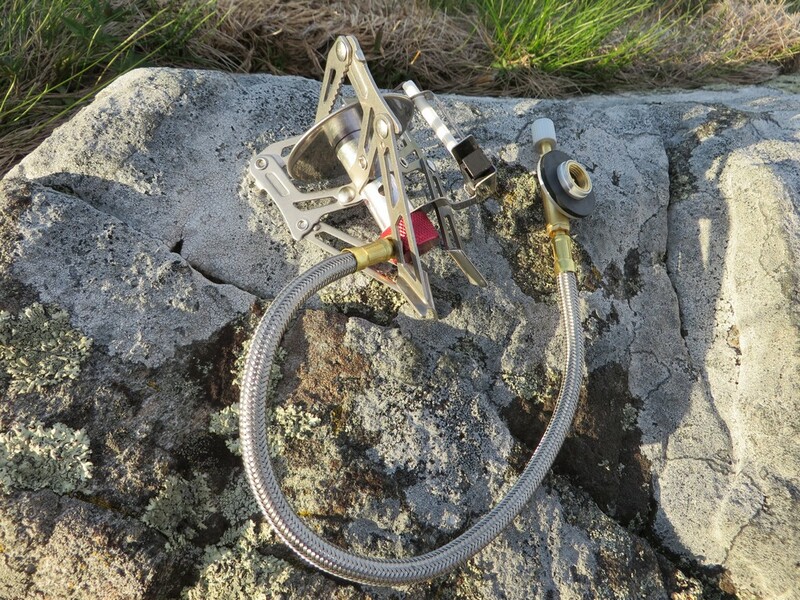 High up on exposed balds with large gusts of wind, without a wind screen, I had the flame blow out a few times. Boiling time was adequate, bringing enough water to boil for a dehydrated meal in about 3 minutes in fair conditions. The arm that secures the piezoelectric starter is a little flimsy, but thankfully is in a position that doesn’t expose it too much abuse. No liquid feed option is included, so the upright gas feed method is your only option. 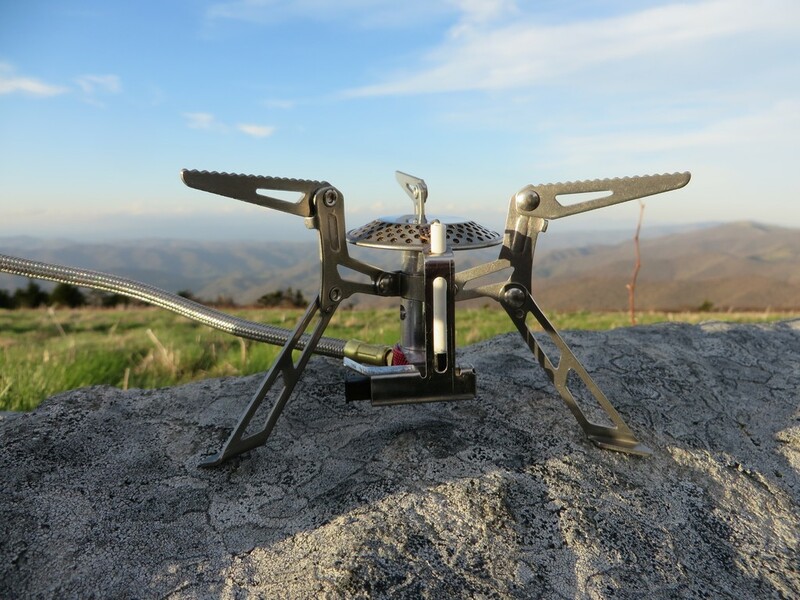 The Dpower Folding Backpacking stove may not have the smoothest name, or the best wind performance, but for the price it’s hard to complain. Add in a wind screen and you have a decent performer at an exceptional price. The stove can be found at Amazon.com, link below. Thanks to Dpower for providing this stove for review. Our full disclosure is available on our Contact me page. Would you recommend this or the pocket rocket more? Actually, if I had to recommend a stove, it would be the MSR Windpro II. Amazing stove that’s lasted me more than 4 years. A lighter option? The Snowpeak Gigapower. The pocket rocket is a bit unstable for my tastes, and the Dpower has some issues with harsh wind.